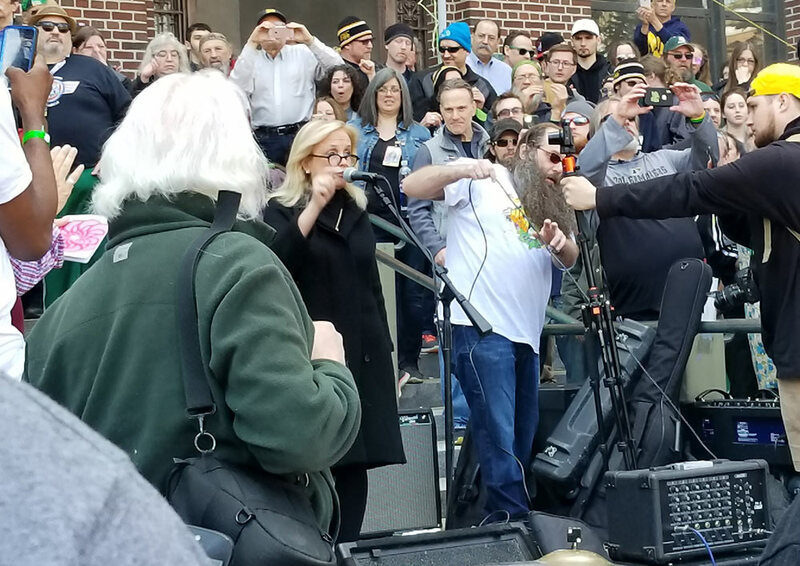 Ann Arbor, MI Hash Bash 2019 photo gallery. 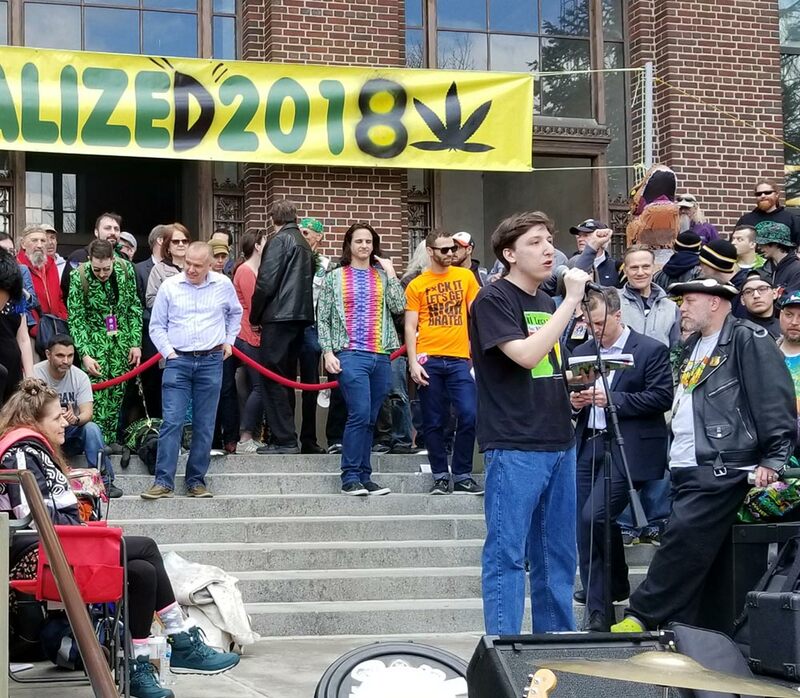 Annual cannabis celebration. 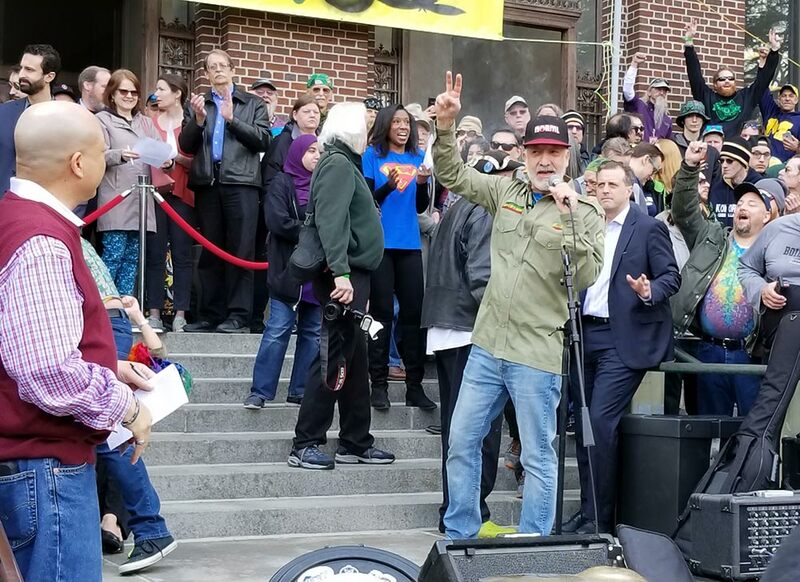 The 2019 Hash Bash was Quite a Success! 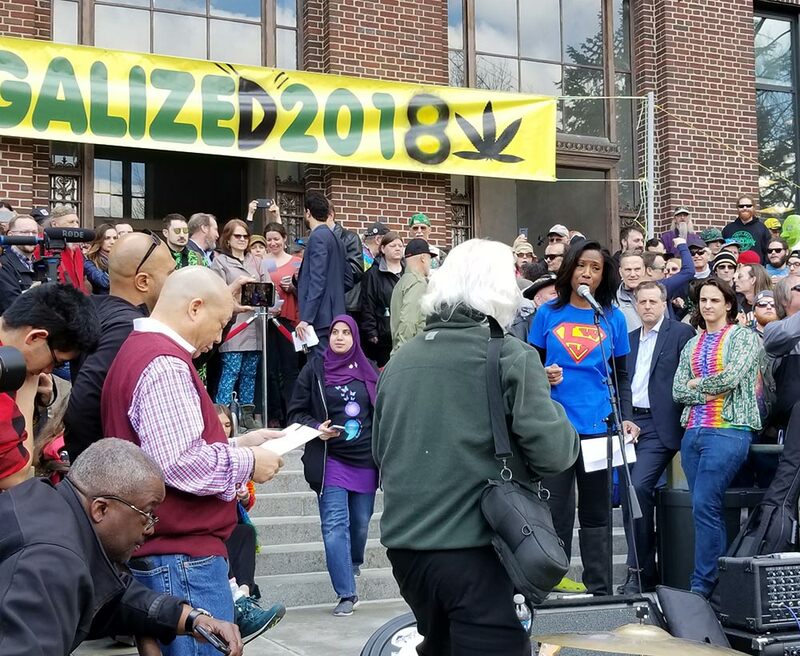 Being the first year with legal cannabis and sunny weather in the low 70’s, the turn out was tremendous. 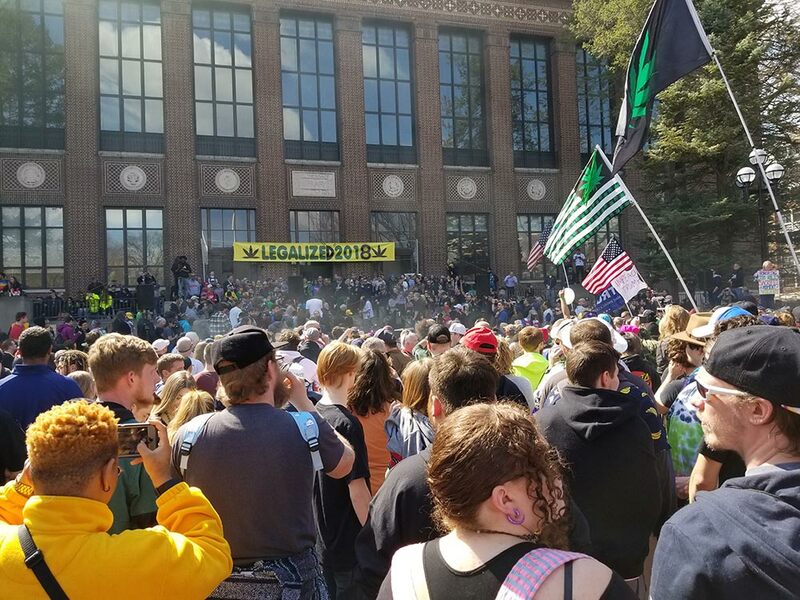 Scheduled for noon on the diag of University of Michigan’s campus, everyone was in a celebratory mood. There were NO police, even though the public school’s campus is considered Federal property. Ann Arbor, Mi. 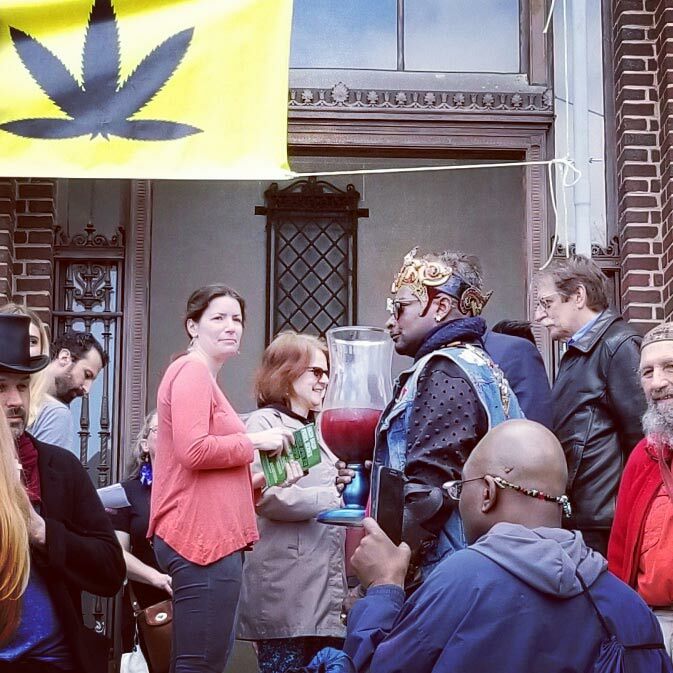 area medical dispensaries and head shops were crazy busy this past Saturday! 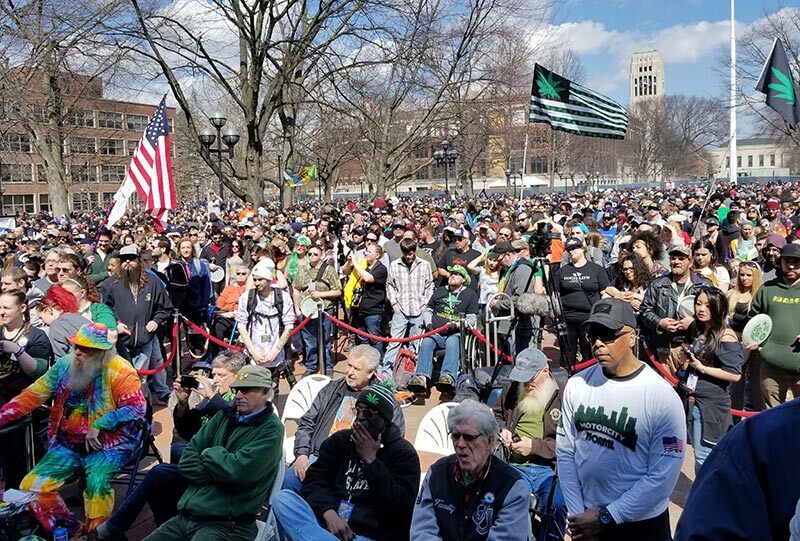 Check Out the Hash Bash Crowd! Check out this view of the stage from the middle of the crowd! Congresswoman Debbie Dingell, representing Ann Arbor, spoke with passion about expungement. 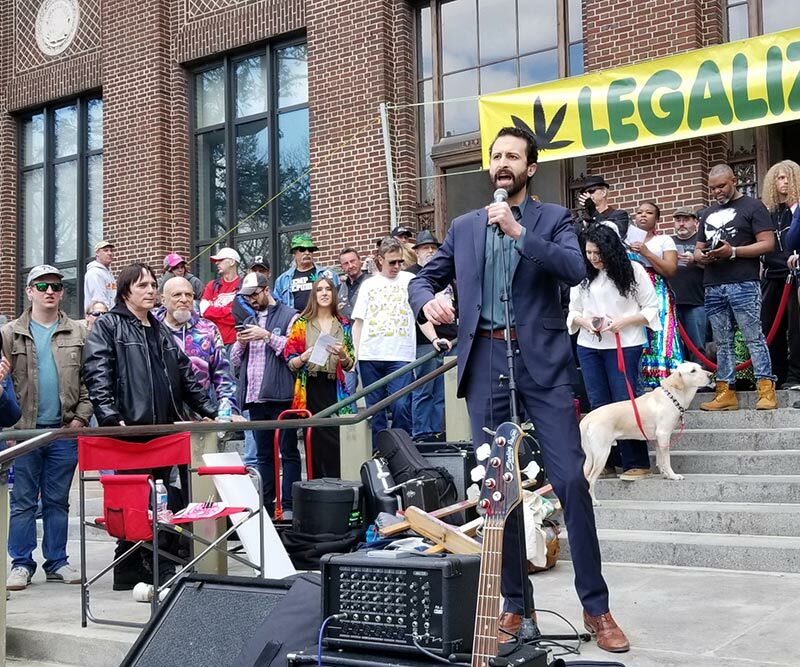 State Senator Jeff Irwin, representing Ann Arbor, spoke about the legal cannabis win. State Representative Yousef Rabhi, spoke late in the program and is always on our side. Plus, plenty of local politicians not speaking, schmoozing the crowd. 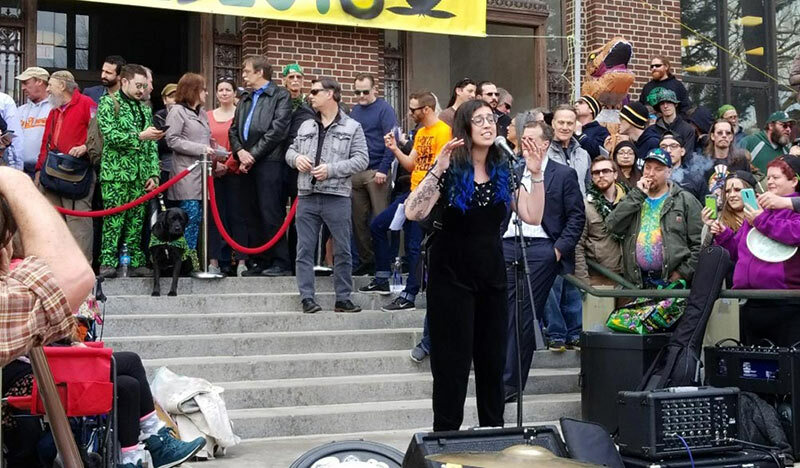 Emma Chasen is a cannabis educator, consultant, and trainer. 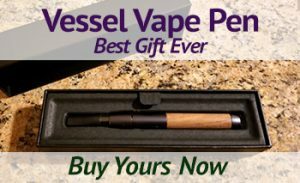 Anqunette Jamison Sarfoh, former TV News Anchor turned cannabis activist, after an MS diagnosis. Sam Pernick, Chair of the Young Democrats of Michigan, is a long-time activist. 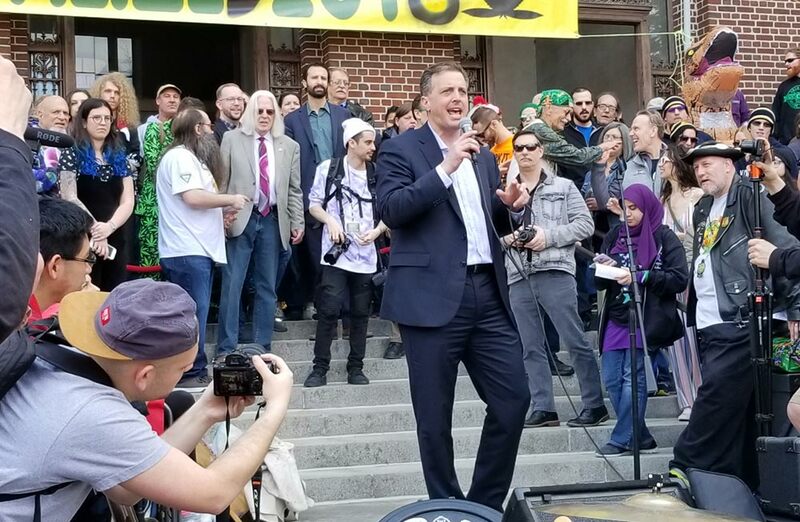 Matt Abel, Executive Director of Michigan NORML, long-time Detroit area cannabis attorney and activist.